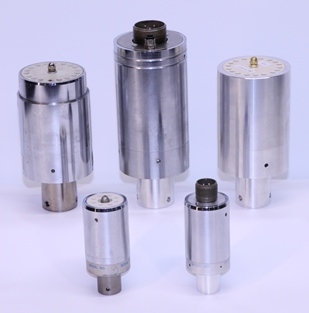 BYM Ultrasonics carries a large selection of used and rebuild Branson Ultrasonic converters and boosters. We also carry BYM aftermarket replacement models. 2000 series converters in 15KHz both standard and high power and 20KHz CJ-20, CR-20 and CS-20 models. 30KHz CS-30, CJ-30, CA-30 AND CH-30. 40KHz 4TJ, 4TR, 4TP and 4TF. 900 series converters in 15KHz 915AEJ, 20KHz 932, 922JA, 502, 922RA, 902JA, 902RA, 40KHz 4TJ, 4TR, 4TP and 4TF. 800 series converters 20KHz and 502, 402, 102, 108, 105, TW1, TW2, TW3 as well as 40KHz 4TJ, 4TR, 4TP, and 4TF models. Boosters are available in 2000, 900 and 800 series. 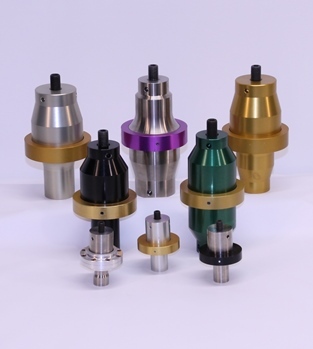 BYM aftermarket replacement models including 0.6/1 (Purple), 1.0/1 (Green), 1.5/1 (Gold), 2.0/1 (Silver) 2.5/1 (Black) as well as custom titanium boosters in 3.0/1 to 4.0/1 gain. Used boosters are also available.